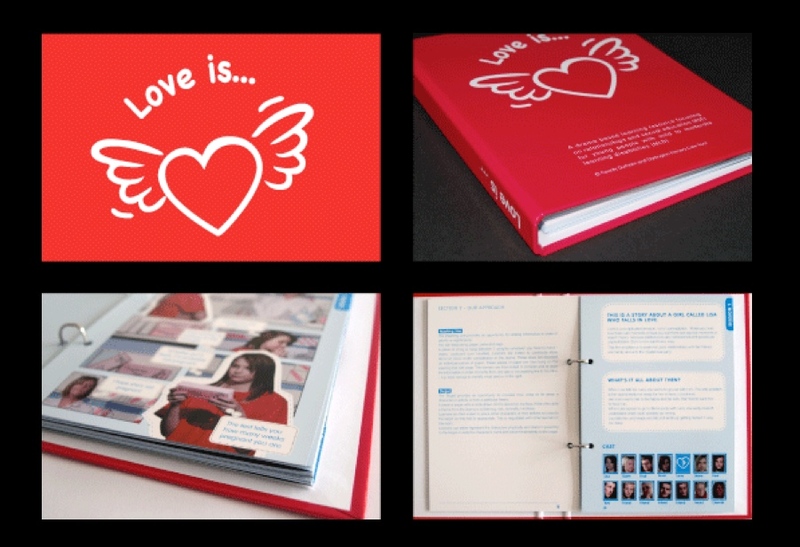 Nic designed the book and resource materials for Love Is… It was produced in conjunction with Cap-a-pie for County Durham and Darlington Primary Care Trust. Nic was approached by Cap-a-pie. He had previously created their brand. They were producing a drama based learning resource focusing on relationships and sexual education (RSE) for young people with mild to moderate learning disabilities (MLD). Nic was originally asked to produce some stills to accompany the DVD. Nic proposed they produce a book instead and split the resource into chapters, creating a photo love story for each one. The design had to be very contemporary and accessible.